Objectives Precarious employment conditions have become more common in many countries over the last decades, and have been linked to various adverse health outcomes. The objective of this review was to collect and summarize existing scientific research of the relationship between dimensions of precarious employment and the rate of occupational injuries. Methods A protocol was developed in accordance with the PRISMA-P checklist for systematic literature reviews. We searched PubMed, Web of Science and Scopus for articles on observational studies from North America, Europe, Australia and New Zealand published in peer-reviewed journals 1990-2017. A minimum of two independent reviewers assessed each article with respect to quality and eligibility criteria. Articles of high/moderate quality meeting all specified inclusion criteria were included in the review. Results The literature search resulted in 471 original titles, of which 17 articles met all the inclusion criteria. The most common exposures were in descending order; temporary employment, multiple jobs, working for a subcontractor at the same worksite/temp agency, part-time, self-employment, hourly pay, union membership, insurance benefits, flexible versus fixed work schedule, wages, job insecurity, work-time control and precarious career trajectories.  Ten studies reported a positive association between precarious employment and occupational injuries. Four studies reported a negative association, and three studies did not show any significant association. Conclusions This review supports an association between some of the dimensions of precarious employment and occupational injuries; most notably for multiple jobholders and employees of temp agencies or subcontractors at the same worksite. However, results for temporary employment are inconclusive. There is a need for more prospective studies of high quality, designed to measure effect sizes as well as causality.